CINCINNATI -- Gail Griffin was just getting back into the workforce after having twins and decided a temporary employment agency would be a good way to go about it. 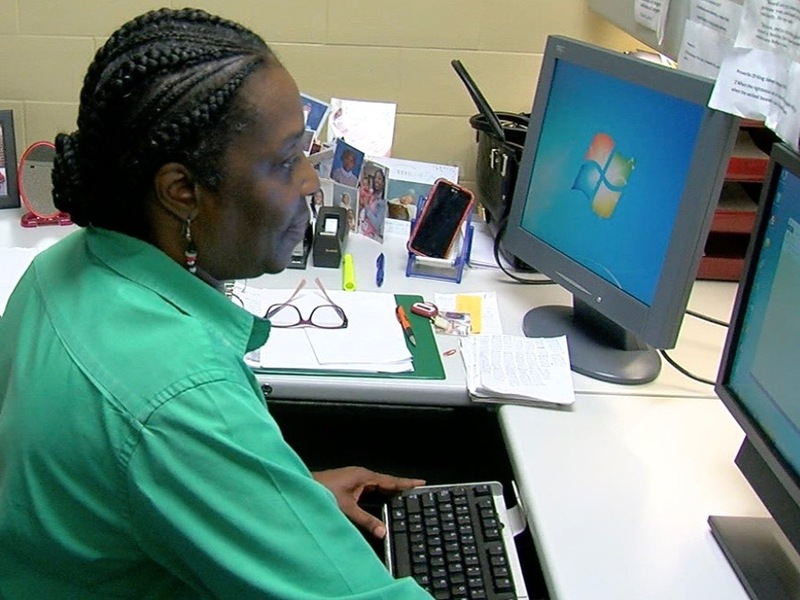 She went to Eastern Personnel Services and got a couple of short-term placements back-to-back before she began a temporary job at Cincinnati State Technical and Community College. That six-month job turned into a permanent position, and, 21 years later, Griffin is still there. Her story of success is not uncommon, said Eastern Personnel Services CEO Angelita M. Jones. In the more than 30 years that her company has been in business, Jones has seen scores of people go from temporary placements to permanent, long-term careers. The agency fills positions ranging from dishwashers to doctors and everything in between, she said. Clients include local governments and universities, private companies and local sports facilities. Its biggest current contracts are with Great American Ball Park, the University of Cincinnati and the city of Cincinnati, Jones said. Employers that have used Eastern Personnel Services said they keep going back because of how Jones and her staff do their jobs. “They have a lot of depth in their hiring pool so when you call them and need something, they can always come up with somebody who’s terrific,” said Kathleen Norris, managing principal with Urban Fast Forward. Jones said she thinks what sets her business apart is the way Eastern Personnel Services treats its temporary employees. That’s important because without those employees, Eastern Personnel Services would not be able to meet the needs of its client companies, Jones said. And taking care of employees goes beyond gifts, she said. In the temporary employment industry, for example, it is common for employers to delay filing time sheets for the workers they hire. Instead of allowing that to stall employees’ paychecks, however, Eastern Personnel Services has a policy of paying the employee on time and then collecting payment from the employer, Jones said. Marilyn Whitfield, left, talks with Angelita M. Jones at Eastern Personnel Services' offices. Jones, who started the company after working as the director of human resources for a small corporation, said some aspects of the temporary employment industry have changed a lot over the past three decades. But the challenge remains finding the right people for the jobs that clients have available. Depending on the economy, there can be more people available than there are jobs to fill or more jobs available than there are people to fill them. “I don’t know if there is a sweet spot,” Jones said. In recent years, Eastern Personnel Services has launched training programs in such areas as banquet service, customer services and construction to keep up with clients’ demands, she said, adding that training is an area where her agency could expand. The goal, Jones said, is to keep working to improve how Eastern Personnel Services’ serves both corporate clients and temporary employees. She has a strong team to make sure that happens, Jones said. 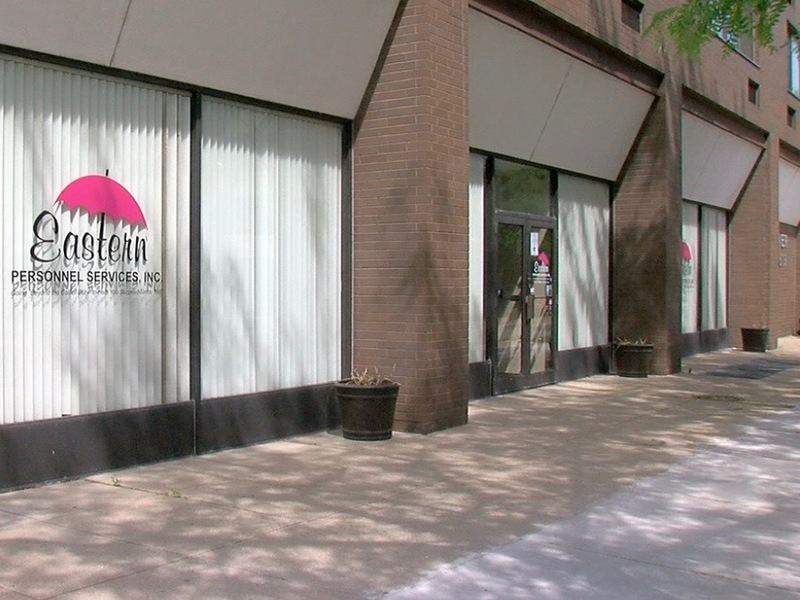 Eastern Personnel Services has 23 employees at its Downtown office, and several of the consultants who work with temporary employees are former business owners themselves who no longer own their companies. “All of them, they pull their weight like crazy,” she said. As business owners, they know what employers value in employees just as Jones does. Eastern Personnel has people come in seeking temporary employment for professional level jobs because they have trouble showing up for work on time and being reliable, she said. Jones and her staff work to help people understand the importance of being dependable and having a strong work ethic, she said. Neal spent some time working as an administrative assistant for Jones, too, she said. She said Jones was especially kind to people who showed up looking for work with inappropriate clothing and children in tow because they had not been able to get babysitters. “She seemed to cater to these people and kind of took them under her wing,” Neal said. As stressful as the work can be, Jones said she’s confident that she is doing exactly what she should be doing. More information about Eastern Personnel Services , including a list of its current job openings , is available online. Lucy May writes about the people, places and issues that define our region – to celebrate what makes the Tri-State great and shine a spotlight on issues we need to address. She has been writing about women- and minority-owned businesses in Greater Cincinnati for more than 20 years. To read more stories by Lucy, go to www.wcpo.com/may . To reach her, email lucy.may@wcpo.com. Follow her on Twitter @LucyMayCincy.